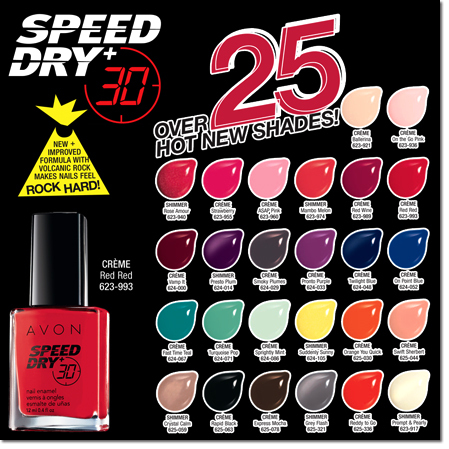 If you're always on the go like me, you might appreciate nail polish that dries in 30 seconds. As you may have noticed, I rarely wear nail polish on my finger nails. The reason is that I don't have the patience for them to dry up. I also don't have the patience for nail salons. This Speed Dry Nailwear might be my solution. Here are some fresh new colors from the Avon Nailwear collection.